Very interesting reflexion about how Jane Austen see the beaux of her novels. 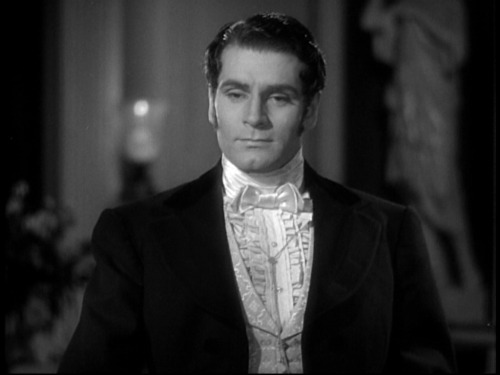 By the way, I never watched the Laurence Olivier's version of P&P. I should find it on YouTube. 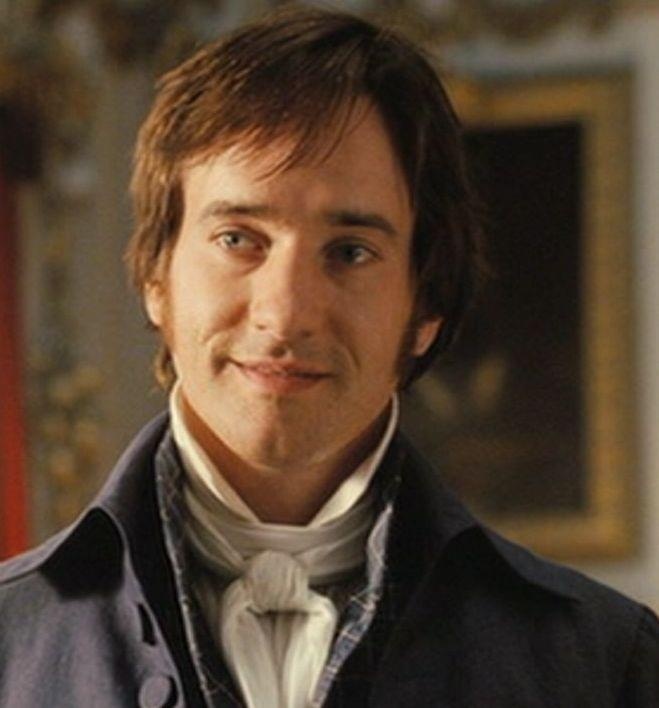 In Jane Austen's time, all men were shaved. I think that beards were seen as ugly (but wigs were ok). 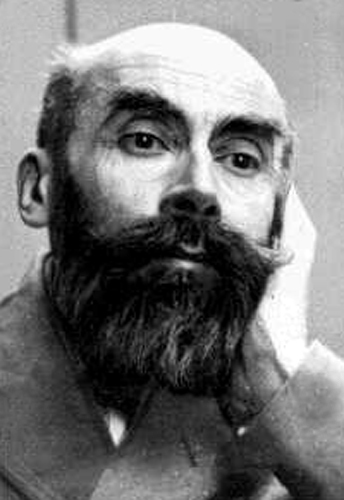 Beards began to grow on men's face in the second half of 19th century, I believe. I have nothing against a small moustache, or even a short clean beard, but long beards like these new Kurdish Brummel are awful. Seems that Daesh won that aesthetic war, at least. 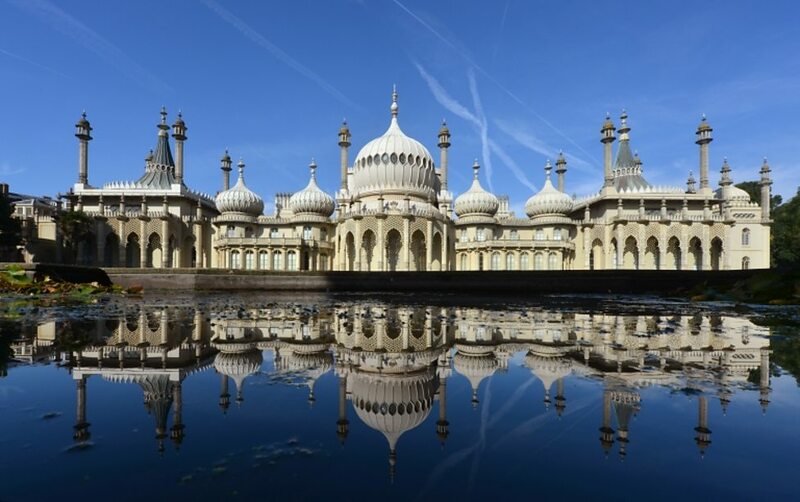 The Royal Pavilion in Brighton is a great place to immerse yourself in Regency architecture and style. The new plastic £10 note has been unveiled by Bank of England governor Mark Carney at Winchester Cathedral. 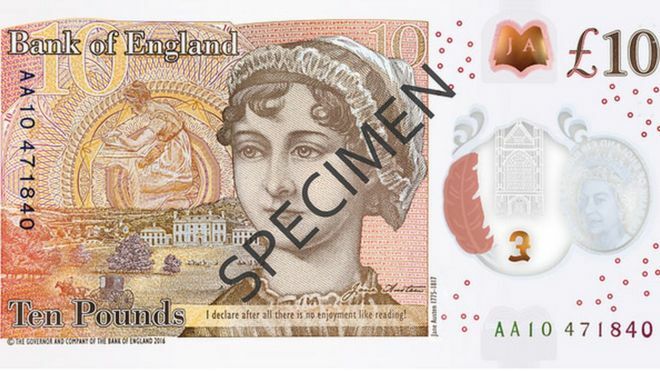 The note, which follows the polymer £5, will be issued on 14 September and has a portrait of Jane Austen on the 200th anniversary of the author's death. It is also the first Bank of England note to include a tactile feature to help visually impaired people. Meanwhile, a limited supply of a new £2 coin honouring Jane Austen has been put into circulation by the Royal Mint. The coin will initially only be available in tills at key locations in the Winchester and Basingstoke areas that have connections with Austen, including Winchester Cathedral and the Jane Austen House Museum. It will be circulated more widely across the UK later this year. The £10 note will be made of the same material as the £5 note, which means it also contains some traces of animal fat - an issue which caused concern for vegans and some religious groups when it was launched last September. A petition to ban the note attracted more than 100,000 signatures but the new £10 will again contain some tallow, which is derived from meat products. A new polymer £20 featuring artist JMW Turner is due to be issued by 2020, but there are no plans to replace the current £50 note, which was released in 2011. The Bank of England says the new £10 notes contain sophisticated security features and are expected to last five years, which is two-and-a-half times longer than the current note. 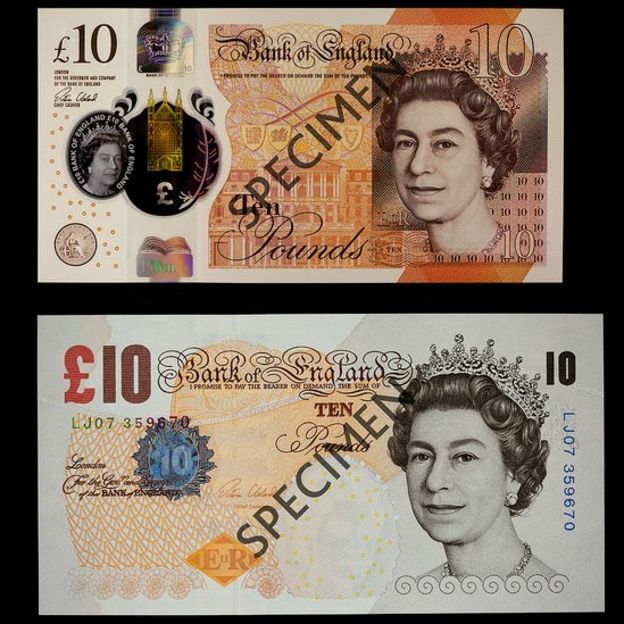 A hologram which contains the word "Ten" and changes to "Pounds" when the note is tilted. The words "Bank of England" printed in intaglio (raised ink) along the top of the note. The tactile feature was developed in conjunction with the Royal National Institute of Blind People (RNIB) and is a series of raised dots in the top left-hand corner of each note. Bank notes are already in tiered sizes, and have bold numerals, raised print and differing colours to help blind and partially sighted people. Launching the note in Winchester Cathedral, Austen's final resting place, Mr Carney paid tribute to the author, saying: "The new £10 note celebrates Jane Austen's work. 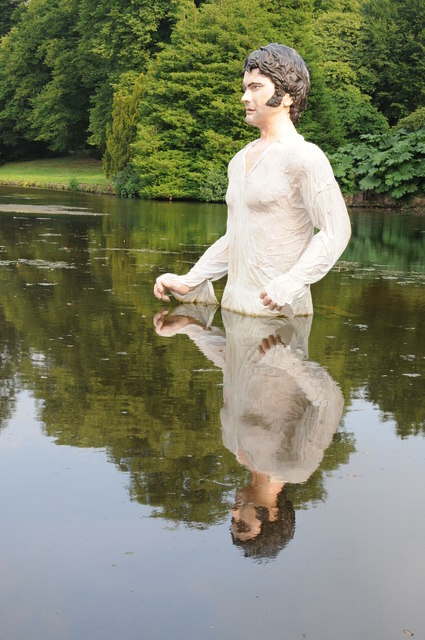 Austen's novels have a universal appeal and speak as powerfully today as they did when they were first published." Victoria Cleland, the Bank's chief cashier, said: "The new £10 note marks the next exciting step in our introduction of cleaner, safer, stronger polymer banknotes, and I am grateful to the cash industry for their work towards a smooth transition." The design of the note includes the quote "I declare after all there is no enjoyment like reading!" from Austen's novel Pride and Prejudice and a portrait of the novelist based on an original sketch drawn by her sister Cassandra. 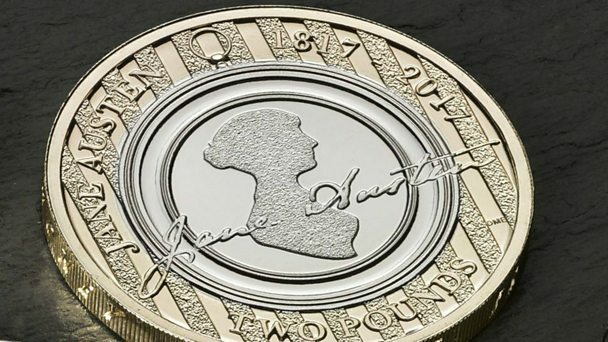 Meanwhile, the Austen £2 coin, designed by Royal Mint graphic designer Dominique Evans, features Austen's silhouette, set in a period frame against a backdrop of Regency wallpaper. Ms Evans said: "I imagined Jane Austen's framed silhouette as if it were in one of the houses featured in her books, on the wall of a corridor as guests passed by to attend a dance, perhaps in Pride and Prejudice, or on the wall in the home of Emma." Austen had her first novel Sense and Sensibility published anonymously in 1811 at the age of 35. As Jane Austen was not probably a vegan, they should boycott her, in the same way. It makes me wonder if Jane Austen described food and meals in her novels (I never paid attention). I will check.